It is common to feel that corporate meetings are a waste of time. Time that could be better spent getting “real work” done. But it doesn’t have to be this way. 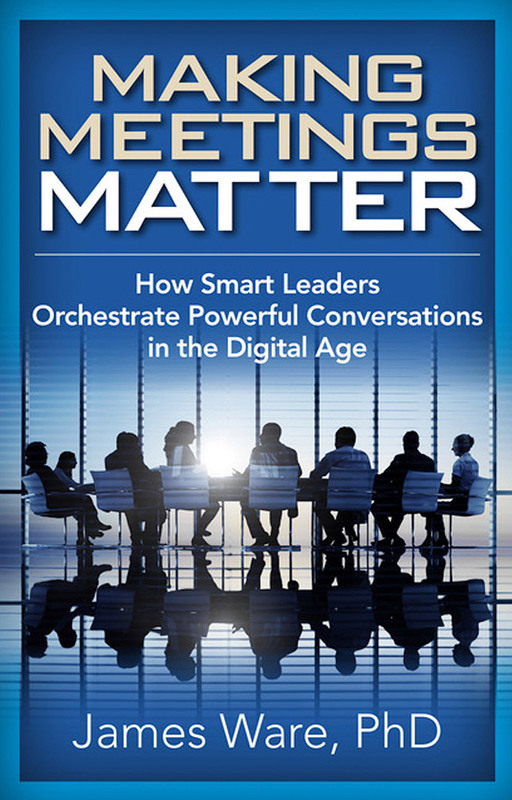 This book is dedicated to the proposition that meetings can be meaningful, productive, and even fun—all at the same time. Meetings matter only when they produce meaningful change – in ideas, in behaviors, in decisions, in commitments for future action – and in the knowledge-based economy those changes emerge from engaged individuals and become real in cohesive teams. Effective leaders today orchestrate conversations that produce consensus, commitment, and meaningful action. This new book shows you both why collaboration and conversation are at the heart of the future, and how to build and lead a collaborative, conversation-based culture. This book is all about reinventing the business meeting. It offers advice and guidance for streamlining and strengthening all kinds of corporate conversations; but it focuses where it should, on the formal meetings that fill up over 50 percent of most managers’ calendars.